What have Mark Tremonti and Myles Kennedy delivered this time? 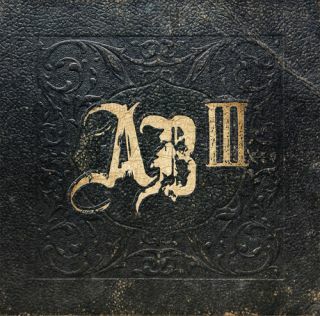 Make no mistake, Alter Bridge's third album AB III is one of the guitar albums of the year. Doubted they'd be able to top 2007's Blackbird? They have - here's the Guitarist rundown of what you can expect on all 14 songs. Spoiler alert! This is different. Sets a very dark mood from the off with just Myles Kennedy's voice and minimal synth backing. Guitars start to ripple… "you don't belong here" sings Kennedy in a pretty creepy way - we've never heard him sound like this before. Then it breaks: a classic doomy Tremonti riff follows, flowing into a huge chorus and a harmonised bridge between the two singing that is surprisingly seventies classic rock. What a start! Guitar highlight: Tremonti's blackened riff kicking in and snaking under Kennedy's vocal switch to the higher range. The fastest song on the album and where Tremonti's speed metal roots surface. A couple of Megadeth-esque frantic leads from Mr T before Myles takes the solo. A great mix of dark themes with an uplifting, anthemic approach - a common trait of AB III as it turns out. Guitar highlight: The breezeblock of a riff that powers the verses. A standout song for us. The subtle finger-picked Tremonti part in the verses (Myles' favourite playing of his on the album apparenlt) is powered by an upbeat rhythm from drummer Scott 'Flip' Phillips and bassist Brian Marshall. However, Kennedy's poignant reflective lyrics begin to throw a melancholic shadow over proceedings. The chorus surges high even by AB's standards: Yesterday is gone / We Can't Go Back Again. But it's the arrival of Tremonti's unexpected heavy palm-muted riff like a black cloud that's really interesting - it takes the song to a very dark place. It's incredibly powerful. Kudos too to a brief shredless solo that really serves the song. Guitar highlight: The none more black curveball riff that breaks when Kennedy scream 'I don't want to die' and takes the song to an unexpected place. We told Tremonti we thought this riff had a medieval feel, he told us he thought it was more pirate (read more from Mark on AB III in a future issue of Guitarist). Whatever it is it's unusual and we like it a lot. A dark song (you'd never guess from the title would you? ), this one just escalates through it's parts with satisfying ease - and the verses really bring out the soulful side of Kennedy's vocals. Ultra heavy mid section too - Tremont is clearly bringing out the best from his riff stock. We also think this one has the key Tremonti solo - follows the rhythm guitar changes brilliantly. A perfect mix of feel and technical panache. Guitar highlight: Tremonti's solo - both his and our favourite lead on the record. Right hand picking fest in the mid section (Alter Bridge make their middle eight's ones to remember on every song on this album) before it drops into another very heavy riff, but with a lot of clarity to the tone. This is going to be very popular live. Guitar Highlight: The main riff will make you crank your car stereo. It's a belter. More of the upbeat side of Alter Bridge which brings a good balance to proceedings. Arpeggiated verses with build into a surging chorus - 'Only you can make it right' - and it maintains the energetic pace. Another strong middle eight with a blazing solo to close. Guitar highlight: The closing solo is trademark Tremonti. This band seem to be able to approach the subject of death and loss with a very rare poignancy. We heard it on In Loving Memory on their 2004 debut One Day Remains (Tremonti's moving tribute to his late mother) and again on Blackbird's title track. This is somewhere between the former and their hit Watch Over You. They manage to create something mournful about losing someone but celebratory of their life too. Mid section is a huge sweeping epic. This song will resonate with a lot of people. Guitar highlight: The melancholic finger-picked line in the verse - previewed briefly at a solo show by Myles last year - is the most delicate piece on the album but immensely effective. We're over half way and there's no sign of the quality dipping yet. The mood switches here to more upbeat territory with an ode to overcoming struggles. We like the subtle use of delay through the verses. Another down-tuned sledgehammer riff comes in but again, it doesn't sound forced - it just fits. Another Tremonti solo to close - he's dazzling but constantly playing for the song. Not an easy balance but clearly something he's been working on from what we're hearing. We're hoping this one gets played on the UK tour. Guitar highlight: That mantric low-end riff in the chorus is used cannily. Tremonti's favourite song on the album - dark and brooding. This mid-paced track is a grower and the most morose moment on AB III. Mid-paced riff that is remisncent in atmopsphere of some of his work on Creed's mega-successful Human Clay album. It surges into a dual vocal on the chorus - Tremonti is singing more this album than we've ever heard before. The first solo different for AB: short and eastern-flavoured with Myles on a Whammy. The second - again closing the song - is pure Tremonti, measured between feel and fury. Myles voice goes pretty high on this one. Powerful stuff. Guitar highlight: The main riff really sets the melancholic and doomy mood of this song. Tremonti told us the band were working on the idea for this song during soundchecks of their last tour. Almost And Myles fans will note it's the name of his previous band Mayfield Four's debut. A connection? Probably not. This seems to be a narrative about a man's struggle. Flowing country-fied guitar line in the verse. Really anthemic chorus - no surprise there with this band, and good to hear a bluesy lick between the verses. The whammy pops up again after another strong middle eight but Tremonti's solo steals the show - it's not flash but it darts around the rhythm with such melodic skill that it's difficult to imagine anything that would serve the song better. Chiming, strumming guitars - this one could have fitted on their debut quite comfortably. Guess what else it's got? Yep, big chorus. Pretty minimal musical backing on the verses that really showcases Kennedy's voice - in case you didn't already notice how good it was. A satisfying slice of life affirming rock. A song about the longing for home. One of our favourites on the album - maybe it's because of the way Tremonti weaves the heavy riff in and out of the melody so effectively. Backs off on the verses to dramatic effect. Guitar highlight: The recurring riff sets this song apart. A good choice for penultimate song. The intro isn't a million miles away from Creed's My Sacrifice and reminds us a little of One Day Remains' Down To My Last too. Tremonti cleverly integrates the finger- picked part back into the song later. It has a similar pace to Breathe Again with the strummed verses. Singalong chorus too and one of the strongest mid-sections on the album - arguably better than that chorus - it just keeps getting bigger. Tremonti's closing solo is melodic and subtle sitting behind the vocal and rhythm - none of his solos are as high in the mix on this album compared to Blackbird but his very musical approach suites that. Guitar Highlight: Intro chord sequence sounds immense and is reprised in the last section of the song to great effect. Alter Bridge's first to feature a bonafide shared lead vocal between Tremonti and Kennedy, Words Darker Than Their Wings is a discussion of faith between the two musicians that is a highly effective closer. Trademark arpeggiated verses and largely chord driven elsewhere, it powers on to a stunning showcase of Kennedy's Jeff Buckley-esque falsetto at the end. A stunningly appropriate way to end the album. Guitar Highlight: 12-string arpeggios - never a bad thing.